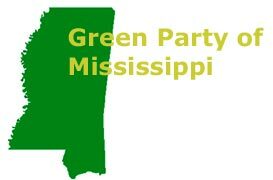 �The Green Party of Mississippi announces that voters have elected the state's first Green to office. John M. Wages, Jr., will become the next Election Commissioner in the 3rd Supervisor District of Lee County. Preliminary results indicate he received 5,012 votes, surpassing his campaign's goal of 4,200 votes in order to exceed the number of votes for the winner in the 2000 election. "I am deeply indebted to the voters of my district for this vote of confidence in me and our new Green Party. Green values are Mississippi values." said Wages in a statement at the Courthouse in Tupelo on Tuesday night. When asked about under-votes (ballots cast with votes for other offices but no vote for Election Commissioner), he observed that the Northeast Mississippi Daily Journal gave only minimal coverage to local candidates. Many voters did not even know the Election Commission race would be on the ballot, nor had they time to become informed about the candidates' positions on election issues. "The Journal is a nonprofit newspaper with an obligation and responsibility to the local community. By not covering these important local races, it missed an opportunity to serve the people of Tupelo and Lee County. I hope we can see better local coverage by the Journal and other media in the future." He further noted that his race showed about 28% of ballots were under-votes for Election Commissioner as compared with about 22% in the District 2 race, in which a Republican ran unopposed. "The similar number of under-votes for unopposed Green and unopposed Republican candidates tells us that the people of Lee County welcome independent and third-party candidates in local races. The people are ready for change." Wages was unopposed in his bid for the County Election Commission. No Republican or Democrat filed for the office. "While voter registration and turnout receive a lot of attention, our democracy also suffers from low citizen participation as candidates. A good example is the 1st District race for Congress, where the Democratic Party nominated no one to run against incumbent Republican Roger Wicker. I believe we can do better." The Green Party will continue to inject fresh ideas into the public debate through its activism as well as through electoral engagement.